Specialty Underwater Services (SUS) specializes in underwater marine construction including bridges, dams, pipelines, intakes, outfalls, inspection services, piers and wharfs and other public safety and local agency needs. Our ability to successfully perform these types of projects attracts work from general contractors and engineering firms, to power companies and environmental firms, as well as federal entities and DOTs. Working from two geographic locations, Pittsburgh, PA and Baltimore, MD, allows us to quickly mobilize and respond to all types of projects and emergencies throughout the Mid-Atlantic and Northeast region. We are proud of our relationships with existing clients and are confident their recommendations, along with our portfolio of experience, demonstrate our ability to deliver a quality product consistently across various industries. 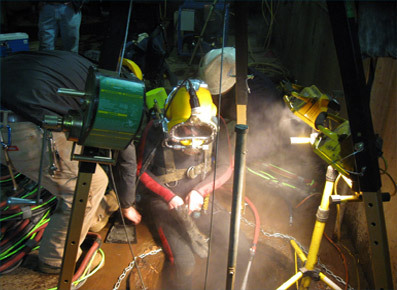 Whether it is a simple one-day job, a multi-faceted project, or an open maintenance contract, we have a veteran staff with extensive experience in commercial diving and heavy marine construction available to safely and successfully complete the task. We believe the health and safety of our employees, and anyone else affected by our work, is fundamental to the success of our business. SUS operates in many different markets and facilities. Although our safety policies do not vary, specific practices are taken into account based on unique operating environments. Before we begin any project, we determine our approach to managing health and safety with regard to personnel, as well as environment. At SUS, it is not an accident that we are well known for an uncompromising commitment to working safely - every day, on every project. SUS offers a 24-hour Emergency Response Team and the ability to mobilize on short-term notice for any project. 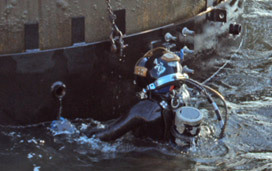 For a direct line to our recognized dive and marine contracting team dial 1-855-SUS-DIVE.